You are here: Home / Blog / Blog / Collision Center of Andover is Gold I-Car Certified! 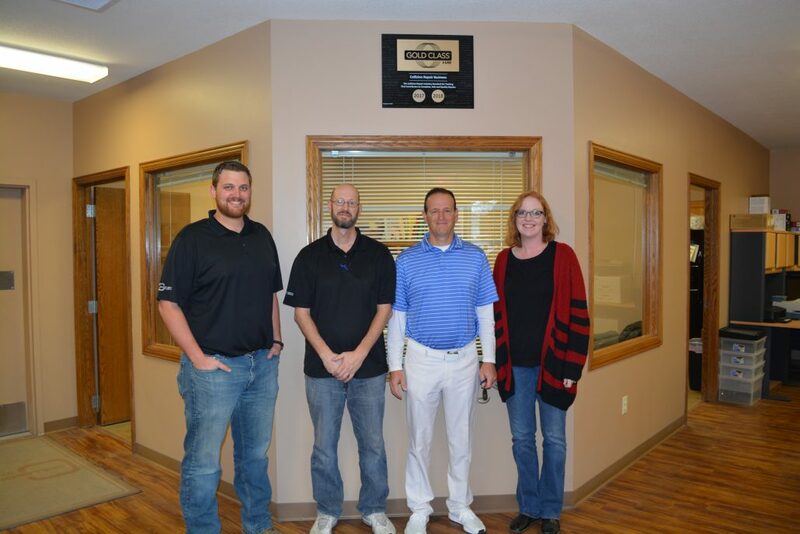 Collision Center of Andover is Gold I-Car Certified! 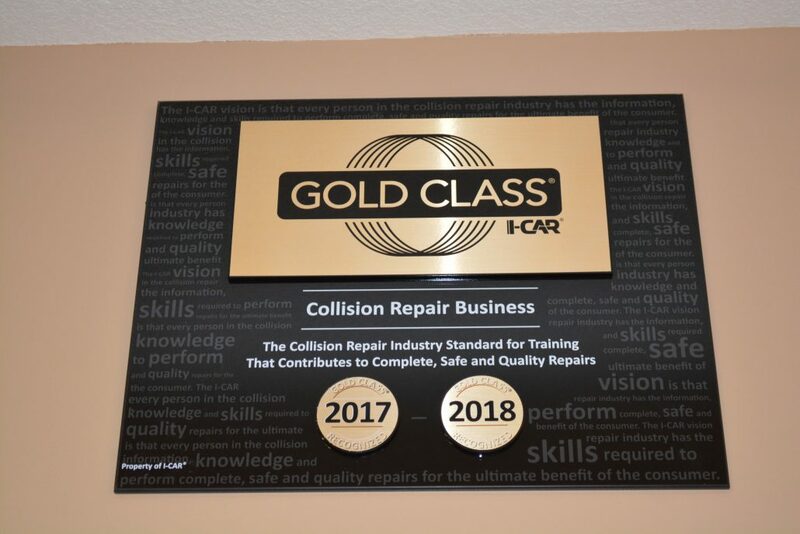 Collision Center of Andover is extremely happy and proud to announce that as of fall, 2017, we received our Gold I-Car Certification for all the extensive training that we do. This certification is considered the gold – pardon the pun – standard in the industry. It’s a demonstration to our staff, to Wichita, and the industry, that we’re committed to the highest standards of professionalism. I-Car is an organization devoted to ensuring that those who conduct auto repair have the skills necessary to do their jobs, and do them well. I-Car offers extensive training programs to everyone involved in auto-repair. As more – and more varied types of vehicles – are manufactured, training becomes increasingly important as more advanced safety systems not only make it safer for you, but more difficult for us to repair in the unfortunate event that you’re in collision. The I-Car organization states that currently only about 20% of all auto repair shops in the world, let alone our little corner of Wichita, currently meet the requirements for the gold standard. You know that by coming to Collision Center of Andover, you are – quite literally – coming to one of the top collision repair shops in the area. This rigorous training keeps us up-to-date on any upcoming products or technologies that are in the works, so if you bring you new vehicle to us, we’ll have the knowledge and experience to fix it properly the first time with no mistakes. For instance, aluminum, will soon be a much more common component in many vehicles. Traditionally, vehicles were constructed with a lot of heavy, inefficient steel, but as time and progress has steamrolled ahead, aluminum has become increasingly popular in vehicles. It was only in 2014 that the first vehicle built entirely out of aluminum was released, the Ford F-150 truck. The switch to aluminum made it almost 700 lbs. lighter. A vehicle that much lighter is far more fuel efficient and produces far less CO2. Aluminum vehicles are also far safer. When they’re in a collision, the deformation is centralized to where the impact happens, leaving the rest of the vehicle retaining its original shape. If there’s any downside to aluminum-based vehicles, it’s that they’re more difficult to repair – hence all the training and this Gold I-Car Certificate. It takes hundreds of manhours to master repairing an aluminum vehicle, and it’s something that Collision Center of Andover is great at handling. There aren’t many Gold classified collision centers out there, so by going with anyone else in Wichita who isn’t certified, then you have absolutely no way of knowing whether they have the training necessary to know how to properly square a frame, use the latest estimatic tools, are aware of the latest painting methods, or how to handle any possible hazardous materials. The list of what proper (and extensive) training can teach you goes on from there. The bottom line is that Collision Center of Andover is absolutely committed to auto repair, and ensuring that we have the best possible training to do the best possible job. Give us a call today at 316-733-9310, or contact us directly, and we’ll be happy to tell you more about all that’s involved in proper collision auto repair. https://collisioncenterofandover.com/wp-content/uploads/2018/07/DSC_0494.jpg 4000 6000 josh https://collisioncenterofandover.com/wp-content/uploads/2013/04/ccoa_logo_340x1561.png josh2018-07-19 03:41:302019-01-24 21:06:37Collision Center of Andover is Gold I-Car Certified!